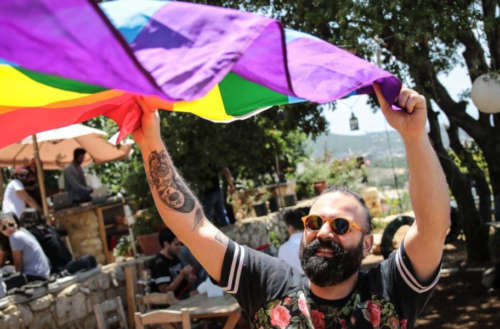 Last year, Lebanon became the first Arab country to host an LGBTQ pride event. Beirut Pride 2018 was planned to be a nine-day series of events in Lebanon’s capital. 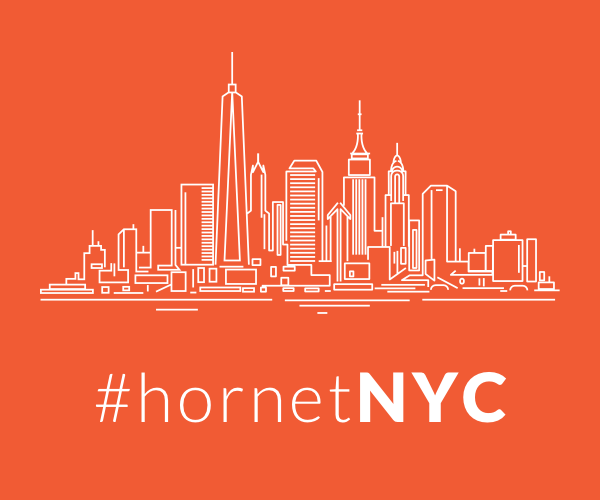 Among the planned events were a storytelling night, an evening of drag performances, a legal panel and a workshop about sexual health. But after the head organizer was detained by police, Beirut Pride has been canceled. Beirut Pride started on Saturday, May 12 but police took head organizer Hadi Damien following public complaints about the event. In a statement on the Beirut Pride website, Damien said the Pride events had gone very well until police called him in for an interview on Tuesday. Damien said police treated him well and did not “physically or verbally” abuse him during his 12 hour detention. He said police dragged him in for questioning because they had received incorrect information about Beirut Pride’s objective. Police then forced Damien to sign a pledge to immediately stop all Pride events. If not, police would have charged him with, “encouraging debauchery and offending public decency.” That charge carries a jail term of up to two years. Even though Lebanon is arguably the most open Arab country to LGBTQ issues, homosexuality is still illegal there. Beirut Pride 2018 is based on nine days articulated around the seventeenth of May, the International Day Against Homophobia. 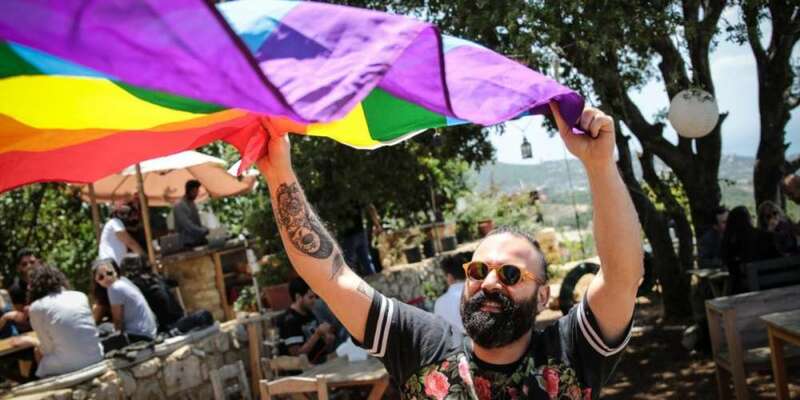 Beirut Pride 2018 was launched on the twelfth of May, during a brunch celebrating parents who preserved their families, who did not reject their children when they came out as homosexuals, or at least, who sought for family to stay composed. In this brunch, Beirut Pride launched its initiative addressed to accompanying families in order to better understand parents and their kids. We celebrated that night Beirut Pride opening party that drained a massive public. On the thirteenth of May, a brunch accompanied with music entertainment featured a talk about Trans* in Lebanon, followed by a discussion about femininity and masculinity in the Migrant Community Center, before an enormous dance show took place in a club. Fruitful meetings happened on the third day, then we launched the Corporate Pledge initiative intended to the business world and its policies regarding LGBT clients and employees; an initiative that will start in September 2018. Afterwards, an evening was scheduled at Zoukak Theatre Studio, featuring an Arabic reading of the theatre text of “Ogres”, followed by a discussion and a party in the same venue. “Ogres” is a compilation of narratives and short stories that tells homophobic crimes and aggressions. However, and at 8:10 pm, I received a call from Zoukak Studio informing me that elements of the censorship bureau at the General Security were in the venue, refusing the reading to take place without prior censorship approval. It is worth mentioning that the censorship pass is the approval of the censorship bureau at the General Security of any show, from which are exempted text readings. Studio Zoukak had asked the censorship bureau if the reading of “Ogres” required any prior censorship, which the bureau negated. The conversation with the director at the censorship office did not go very far, and questions about Pride, its importance and programme became paramount. A series of political and security phone calls did not assist reaching a proper result, and on our way to the reading venue, Zoukak’s personnel informed us of the on-site presence of elements from the General Security, the investigation, the censorship and the vice who were waiting for us to interrogate me in my capacity of Beirut Pride coordinator. During the meeting with the representatives of these security bureaux in the presence of Studio Zoukak and lawyers, multiple phone calls urged me to head the next day to Hbeich police station in Bliss street. Most attendeed left the venue, fearing any escalation or grou arbitrary detentions that might happen. We discussed the idea of moving the reading venue to a private residence, for the political symbolism of the move, its resistance nerve and for the respect of the effort invested on the evening. The discussion was interrupted when elements from the Vice Police entered the hall, asking me to immediately accompany them for investigation. We headed to the police station, without a warrant and handcuffs, only to be informed when we arrived around 11 pm that I would stay the night in the detention room. Phone calls were intense, some of them being from LGBT organisations and members who arrived to the station, without being able to enter the premises because of the late time. We were 39 people in a detention room of a five-person capacity. Seated on the floor, I was collecting my ideas, contemplating solutions for the events to continue, and considering investigation scenarios and outcomes. At the end of the day, the investigation echoes from Hbeich police station and the sum of abuses that take place there are not the kindest. I was called for investigation around 11 am today (Tuesday 15 May). I was lucky that the investigation team did not aggress me, or physically or verbally abuse me, a reality that doesn’t pertain to all detainees who show marks and blue spots they claim they are beating marks. It appeared that the main reason for my requisition is that the Public Prosecution received an Arabic version of the programme of Beirut Pride that was completely distorted, making the happenings of Beirut Pride appear like events of debauchery, disrespect of general law, while using derogatory terms to refer to LGBT individuals. We clarified the details of every point, before I made my statement before the investigator. The statement introduces Beirut Pride, its importance and its initiatives, and rectifies incorrect terms while addressing pressing matters. After a call with the Public Prosecutor, I was offered two alternatives. The first one is to cancel all the events of Beirut Pride that are scheduled until May 20, sign a pledge that assures the activities will not take place and to release me after I sign a residence document off. The second alternative is to cancel all the events of Beirut Pride that are scheduled until May 20, and not to sign the above-mentioned pledge, so I be referred to the investigation judge who will interrogate me on the basis of articles pertaining to the incitement to immorality and to the breach of public morality for coordinating the activities. According to the lawyer, the best exit was to sign the pledge. The report was closed, and I left the station at around a quarter past two afternoon. And therefore, Beirut Pride invites all organizers to freeze their events for the week as per the signed pledge, and for their safety and that of the attendance.